Tested Green Coffee is made from the highest quality unroasted coffee beans!  Standardized for 50% chlorogenic acid and 400mg per capsule for optimal potency and quality. Scientific research shows that Tested Green Coffee supports weight loss, increases metabolism and reduces glucose levels. 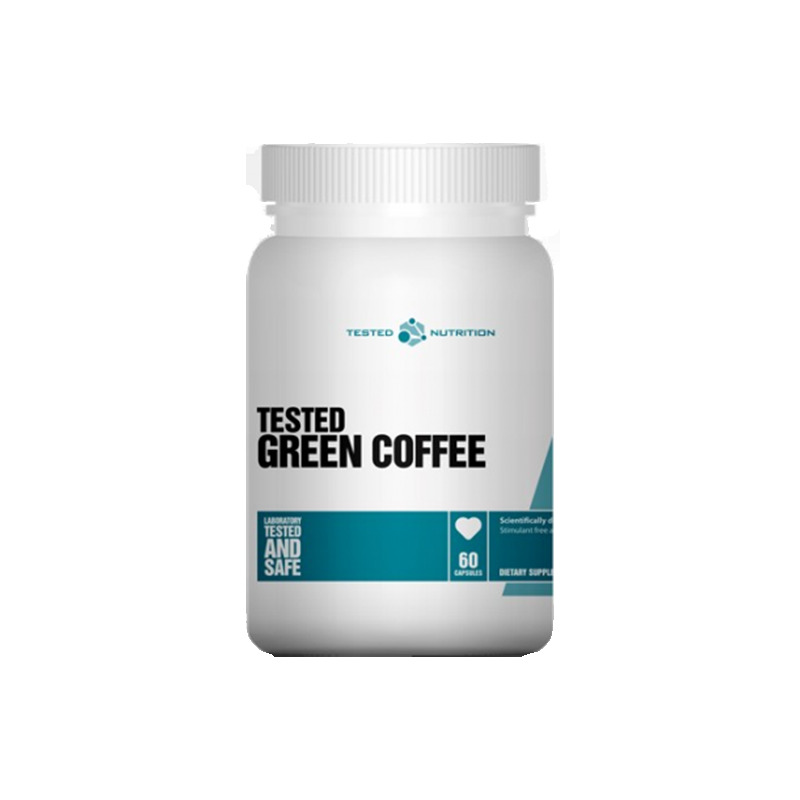 Tested Green Coffee is also a very potent anti-oxidant. Green coffee bean is naturally caffeine free so it can be used throughout the day. Black regular coffee beans lose their chlorogenic acid during the roasting process. Only unroasted coffee beans contain optimal levels of chlorogenic acid and numerous other potent polyphenols. A recent study has shown that only 200mg of green coffee extract per day resulted in a weight loss of 5.5 pounds in 12 weeks. Results seemed to increase with higher dosages. When some individuals took 350mg three times per day, they lost nearly 18 pounds in 22 weeks. 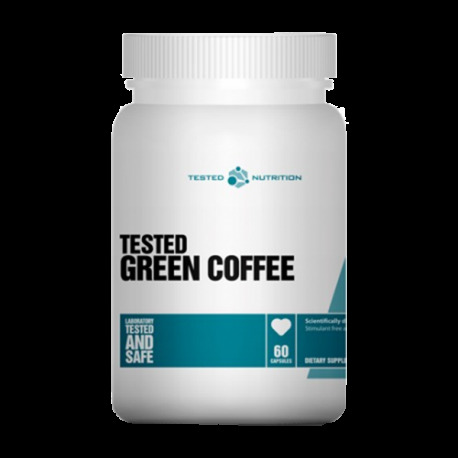 Use Tested Green Coffee as a safe, natural, healthy, stimulant free and proven weight loss product. Take one capsule twice daily 30-60 minutes before your two largest meals. Combine with a sensible diet and exercise. Read the entire label before use and follow directions provided.